How much should you feed your child? We explore portion size and ‘me-size plates’. According to BBC Good Food, more than half of children take a packed lunch to school – that’s nearly five billion lunches each year! It’s clear that lunchboxes really do impact daily life, though it can be difficult to think up new ideas. It is particularly difficult if you are a parent to young children. With so much information available, what do you believe? 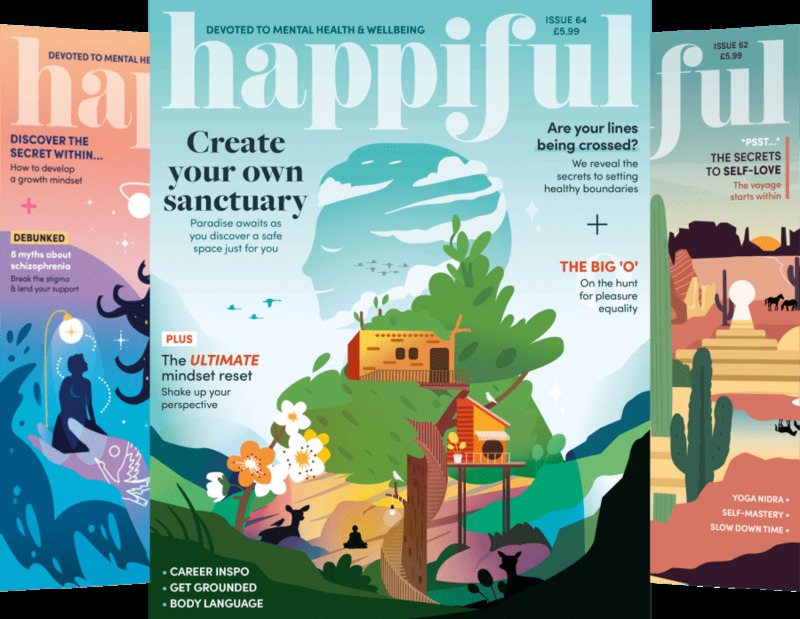 Where do you go to learn what your child truly needs? With childhood obesity on the rise – in 2014, the Health Survey for England found that 31% of children aged 2 to 15 were classed as overweight or obese – is portion size a part of the problem? Lunch is an important part of the school day and should provide your child with at least one third of their daily requirements. 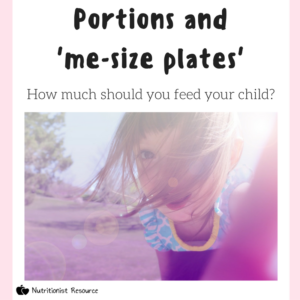 Though we understand this can be confusing, read our summary below for an insight into portion size and ‘me-size plates’ for your little ones. A drink should always be included in a lunchbox, this will help keep your child hydrated and energised throughout the day. Options for your little one’s lunchbox include water, or milk. It is suggested that lunchboxes include a small dairy portion, such as yoghurt or cheese. Portion sizes include, a small pot of natural yoghurt/fromage frais (50g – 100g), a cube of hard cheese, such as cheddar (15g – 20g) or a portion of soft cheese (20g – 25g). Calcium is an important nutrient that should be included in the lunchtime meal. Essential for building strong bones, good sources of calcium include milk and cheese, as well as canned fish or green leafy veggies. To ensure growth and development, protein should be included in every meal. Helping to keep them fuller for longer, good choices include chicken, oily fish, eggs and beans and pulses. Portion-wise, the protein source should fit the size of your child’s palm. We all know we need to aim for at least five portions of fruit and veg a day, but your child’s lunchbox should include at least two fruit and veg portions. Try to include at least one portion of vegetables. One fruit portion should be the size of your child’s palm. Typically, a portion will be one small apple or banana, or three to four strawberries. Starchy carbohydrates such as bread, pasta, rice or potatoes are important for slow-release energy and should generally make up one third of your little one’s lunch. It can be easy to serve up adult-sized plates for your children, especially if you use the same plates and bowls. 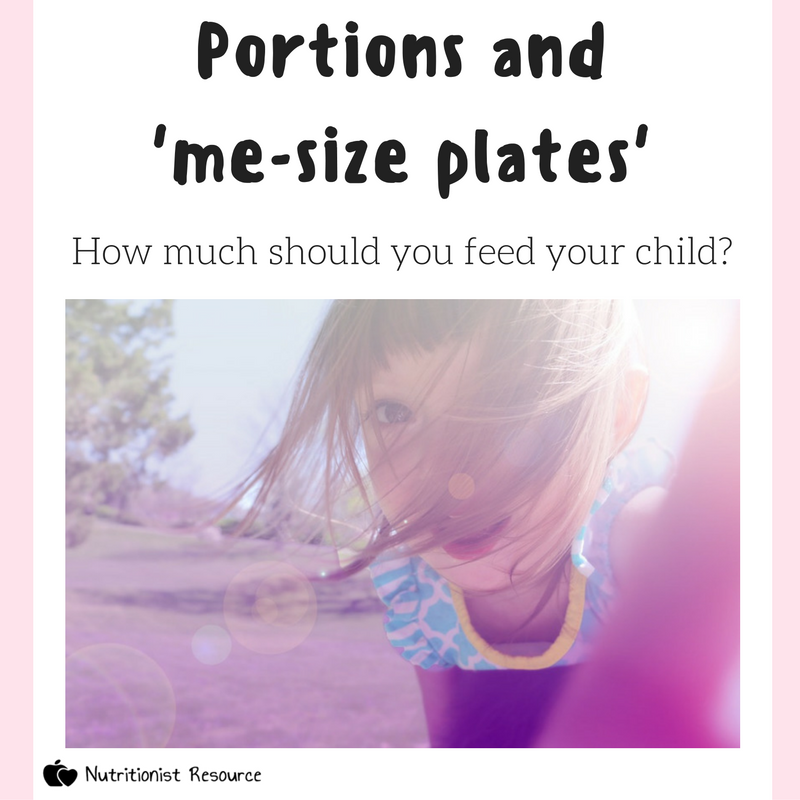 Be sure to serve food in child-sized containers to ensure you give them a ‘me-size’ portion – when they are eating off of regular-sized plates, it can seem as though they do not have enough, when in fact they have plenty.